Spring in the mountains is truly special, a time of year where your options multiply as the days get longer. Straight out of winter, March promises both powder days and sunshine, April serves up long days with soft spring snow and as it warms up, the list of adventures grows fast. Throw in lazy après in the sun, lots of festivals and a village that’s ‘always on’ and you have yourself the ultimate season. Spring brings together everything amazing about Whistler, from outdoor adventure to deep relaxation. Add in a festival or two, dining specials and great deals on accommodation and you've got a cure for spring fever. Between the biking, the early season hiking, the paddling and the skiing, you'll need to give yourself plenty of time to play. Spring Skiing, What's the Deal? Spring skiing has its own unique flavour, a heady mix of powder turns, long days, soft snow conditions and views. Check the weather then choose. Early fresh tracks? Or sleep in, hit up the alpine cruiser runs then chill with views on a mid-mountain patio? In Whistler we dont après-ski, we après-everything. Take your pick from the patios throughout Whistler Village and Creekside, and settle in for an afternoon in the spring sun with a cold beverage, snacks and live tunes. The season of adventure really kicks off, as the snow starts to melt and we get the best of summer and winter in Whistler - with added dining specials. 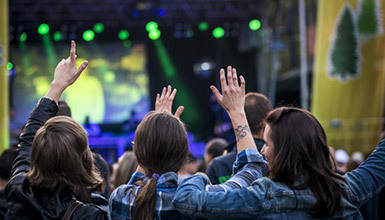 GO Fest captures the outdoor, healthy vibe on the May Long weekend. As the snow melts in late April and May exploring the lower elevation trails is the best way to absorb the sight of the forest coming to life after winter, from the waterfalls to new growth. Join a tour to see Whistlers famous black bears as they emerge from hibernation. Bike fans, your patience will be rewarded! In late April and May Whistler's trails will reappear from under the snow, with prime early season dirt. Time to get the muscles working before the Whistler Mountain Bike Park opens in May. The courses will open late April and early May so get ready to swing. Check out the four courses, keep an eye open for range opening dates, early booking offers and golf packages to kick off the season. 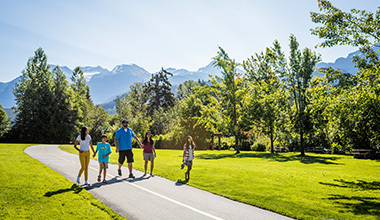 Walk the new Cultural Connector to find the Squamish Lil'wat Cultural Centre, the Whistler Museum, the Audain Art Museum and galleries featuring fine art and local artists, and performance venues. Like what you see? 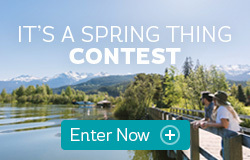 You can book it all with Whistler.com. We've got everything you need for your spring getaway from transportation, accommodation, activities and more. Our Whistler-based travel consultants can also be reached at 1.800.944.7853 for booking assistance, more ideas and local travel advice. With plenty of snow on the ground already for winter we're in for a long ski season. Here's why March and April rock our ski socks. *Starting from advertised price is based on midweek early April rates and is subject to availability. $20 Free Après offer: 2 night minimum stay applies, offer is limited while quanities last. Any unused vouchers will expire on April 30, 2019. $20 CAD Après Vouchers have no cash value and can only be used at participating locations.